“They don’t snore, but might creak during their slumbers. 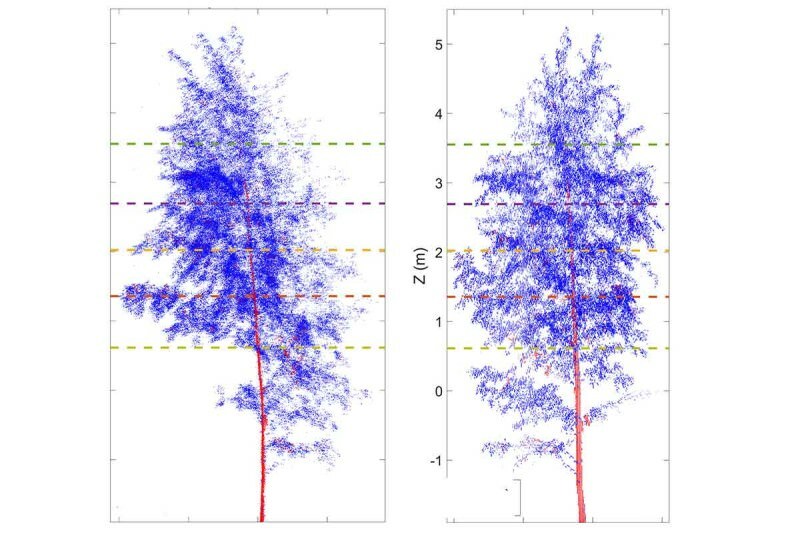 For the first time, trees have been shown to undergo physical changes at night that can be likened to sleep, or at least to day-night cycles that have been observed experimentally in smaller plants. Next, the team hopes to see whether other tree species “sleep”. “I’m confident it will apply to other trees,” says Zlinszky. The ideal targets would be poplars and chestnut trees, because researchers have decoded the genomes of both and identified genes linked with circadian rhythms, which could help them see which genes are involved in the behaviour. McClung says that studies in sunflowers have tied circadian rhythm to the ability of water to travel in the plant’s stem. “The water supply might underlie the effects seen,” he says. “It’s reasonable to suspect that it’s not just the water supply, but that the ability of the plant to transport it might be controlled by the plant itself.” One possibility to explore the underlying mechanisms might be controlled experiments on smaller birch trees in greenhouses, he says.